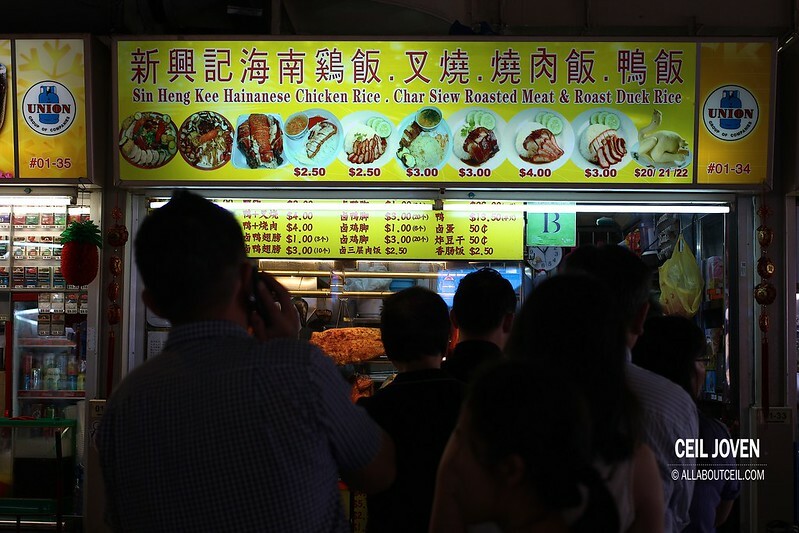 I was rather amazed when i came across the long queue right in front of this stall. I have never really heard of this stall so this is definitely not amongst one of those famous stalls. Then, what gotten these people willingly queuing up for? Possible reasons are their foods must be good and the prices must be cheap. I could not think of the third reason to justify such a queue. This queue right there is easily the longest in this food centre. The realistic way to find out is to join the queue and try it out. I waited for a good 20 minutes to order and waited for another few minutes to get it. 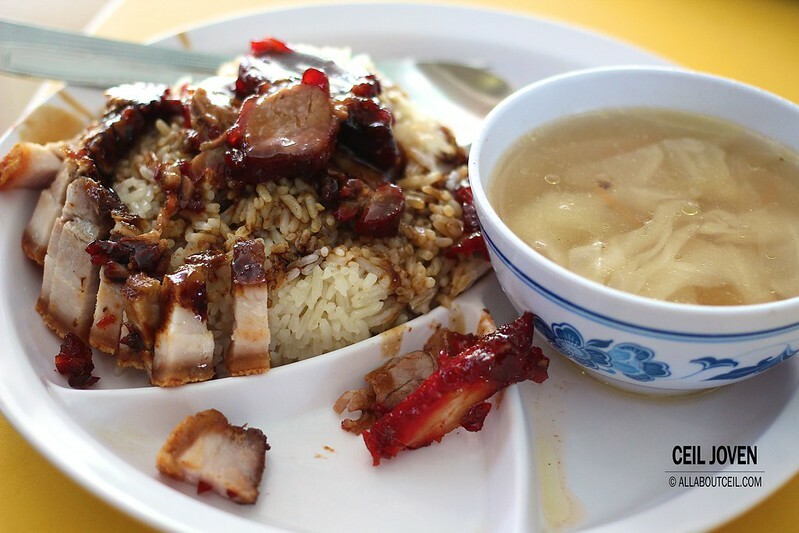 I decided to have the roasted meat and char siew rice for $3.00. I would think $3.00 is considered rather cheap for such a plate of rice. A good portion of braised sauce covered rice was served on a plate with dividers. 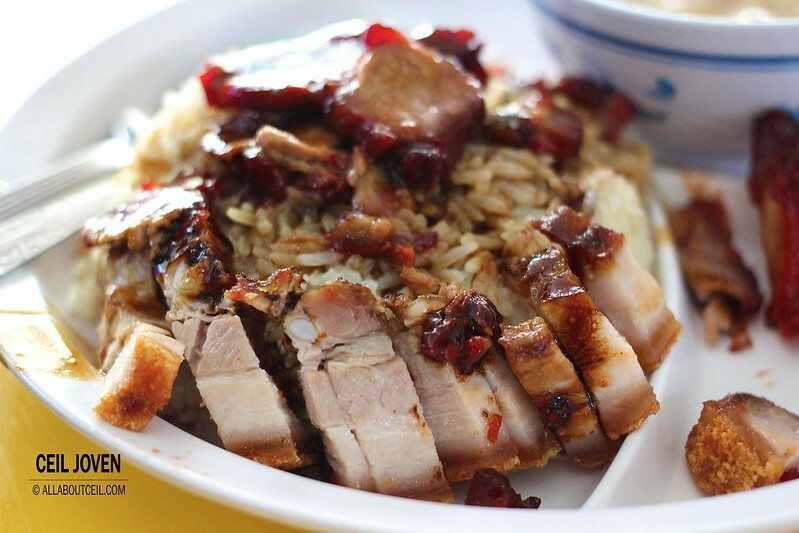 Substantial portion of roasted meat served along with equally good portion of char siew together with a bowl of cabbage soup. I tried the char siew first. It tasted good though not outstanding nor memorable. It was nicely caramelised to give it a slight sweetness without compromising the taste and its texture. The roasted meat tasted just fine. It has got a good balance of lean and fat proportion to give it the desired texture. It was nicely roasted to give its skin a rather slight crispiness coupled with a distinctive saltiness and desired tenderness within. 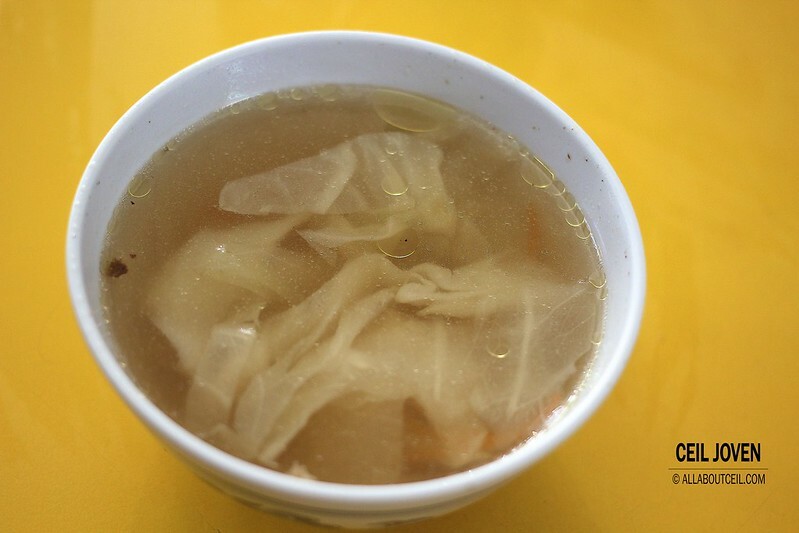 The soup served with cabbage in it. It has got the sweetness and intense flavor derived from the cabbage. I would think the char siew tasted a little better in comparison but still not quite worth the queue though as there is another stall serving comparably or better roasted meats in the same food centre. SIN HENG KEE HAINANESE CHICKEN RICE . Block 6 Jalan Bukit Merah #01-34 ABC Brickwoods Food Centre SINGAPORE 150006.